IMPORTANT NOTE: PARMA STOPPED DIDN’T MAKE ECONOMY CONTROLLERS FOR OVER TWO YEARS. While they have recently resumed production of their Economy wire wrapped ceramic resistor controllers at this time I have decided not to carry them for the following reason. 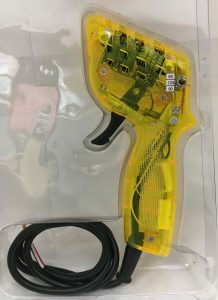 They have raised the price of their lower quality Econo controllers to $39.99 directly against the higher quality (smooth resistor board, longer heavier duty wire) DS controllers. At this time I have DS controllers available. I also have Parma HO Plus controllers. See the descriptions below. Supply is limited. I now have DS controllers in 45, 55 and 120 ohm ratings, The DS controllers come with a longer wire and three wire open leads. You can install alligator clips at additional cost or you can splice in the connector of your choice on your own. I am again making DS controllers in multiple ohm ranges. For example a 35, 45,55 ohm DS would be $59.95 as is a 35/45/55 ohm unit as is a 120/90/60 ohm unit. 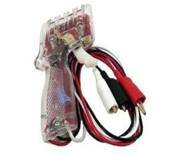 The job of the controller is to feed power to the car in direct proportion to how much the trigger is squeezed. A good match produces response throughout the range of the controller. 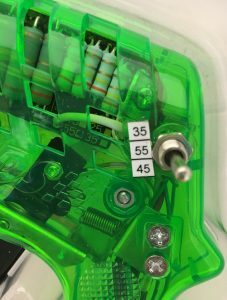 A bad match can produce a soft response, i.e., you squeeze the controller and the car does not respond until the trigger is 1/3 to ½ way down the resistor. Here the resistor has too high a rating for the car it is trying to control. Equally undesirable is a ‘fast’ controller response, here the car takes off like a shot when the trigger is pulled back lightly. This is due to a resistor with too low an ohm rating for the car you are trying to control. 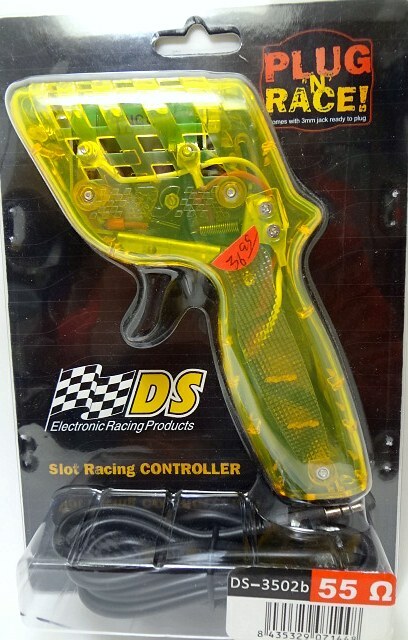 Whether you use a controller with a resistor or an electronic controller (no resistor, but uses various electronics to control voltage to the track) you want a controller that is a good match to your cars requirements. Below are various resistor and electronic controllers with an explanation of the best application for that controller. 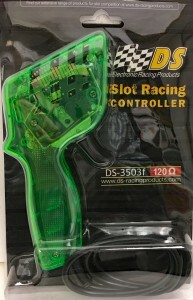 DS controllers are available in green, yellow, orange or blue. Please specify and have a second choice in mind. 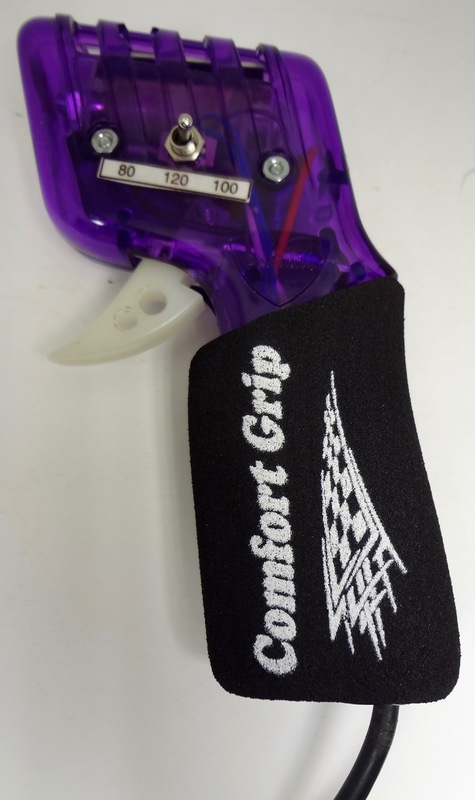 Note: I now have JG’s Comfort grips (see below) available for Parma, DS, DiFalco, Russkit and Professor Motor controllers. 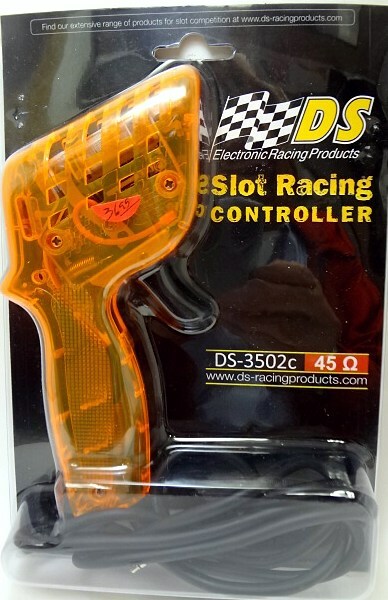 If you race a wide variety of slot cars we have multiple range controllers which, with the simple flick of a switch, can change the resistance of the controller to offer better response. NEW! JG‘s Comfort grip. Same as above but longer for Professor Motor controllers. Fits very snugly but is tough enough to be carefully manually removed without damage. ET Grip, a soft absorbent handle for your Parma controller. Makes racing for hours so comfortable you will wonder how you ever did without one. No longer in production and therefore limited availability. 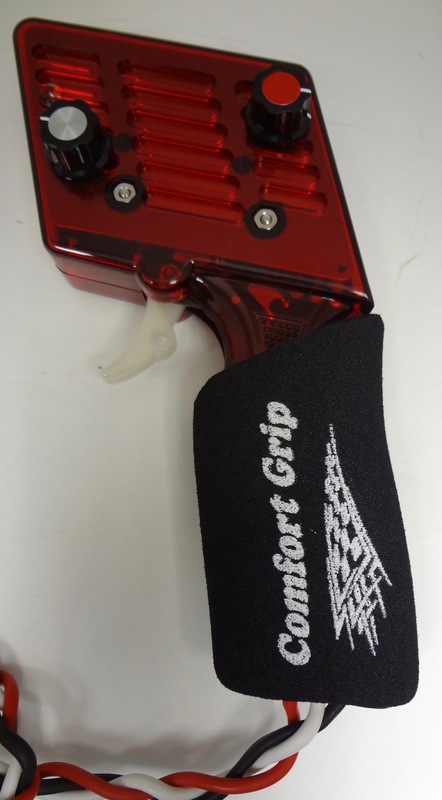 sold out -see above ‘Comfort Grip’ a softer easier to install grip. We still carry a complete selection of service parts for Parma economy controllers, please call and have one of our knowledgeable sales staff assist you. Professor Motor “Scale Racer PRO” Model Electronic Slot Racing Controller – Recommended Operating Voltage : 14 to 19 volts – POSITIVE polarity – Includes 25 Ohm variable brakes, variable sensitivity, internal aluminum heat sink, heavy 13 gage silicone leads & solid copper alligator clips w/boots – New “Platinum Series” transistor technology – Recommended Applications : 1/32 & HO home, club and commercial track racing through JK Falcon & 16D Motors – Available in Clear / Red / Blue & Yellow/Green Florescent Handle Colors. Call for color availability.